MedSlate is a web application that provides personalized article recommendations for doctors of various specialties. 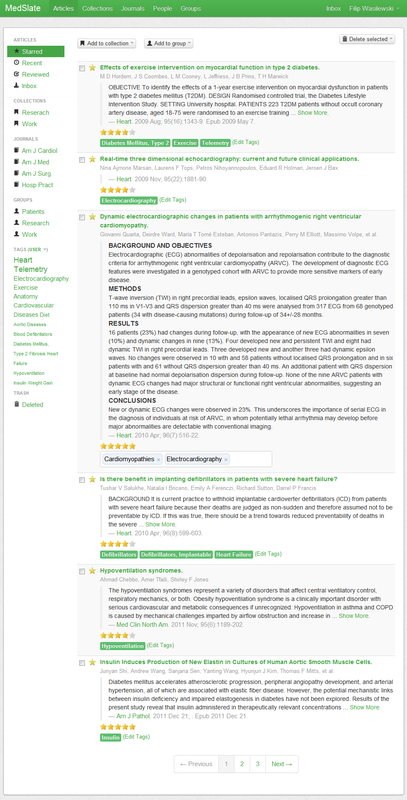 It creates a social experience around raw article data sets from a wide range of clinical journals and datasets. The application augments information with ratings, tags, collections and reviews, and encourages users to collaborate in work or research groups. Under the hood it utilizes data processing, machine learning, collaborative filtering and full-text search techniques.